There is no escaping the new craze which is hitting playgrounds right now! Num Noms are the new must have! These are collectible and swap-able toys with a difference… The cutesy tiny characters are inspired by sweet flavored snacks adored by children worldwide – such as ice cream and cupcakes! What makes these toys really different is that they also double up as toys which are motorized and can scoot around, or as a scented lip balms! Each toy is essentially two in one! 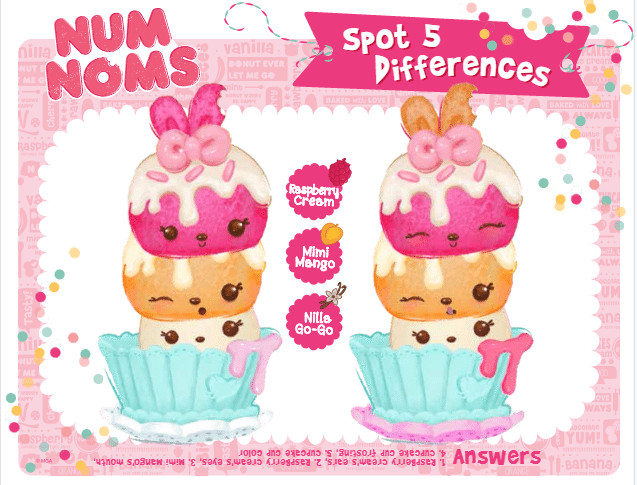 The outer soft part is the Num – the cute collectible character, whilst the hard inside part is the Nom which contains the scootable toy or the scented lip balm. Kids can race them, pile them high, and with over 1000 mix and match combinations – that is a lot of play time. The possibilities are endless. Kids can collect by colour, flavor and scent. 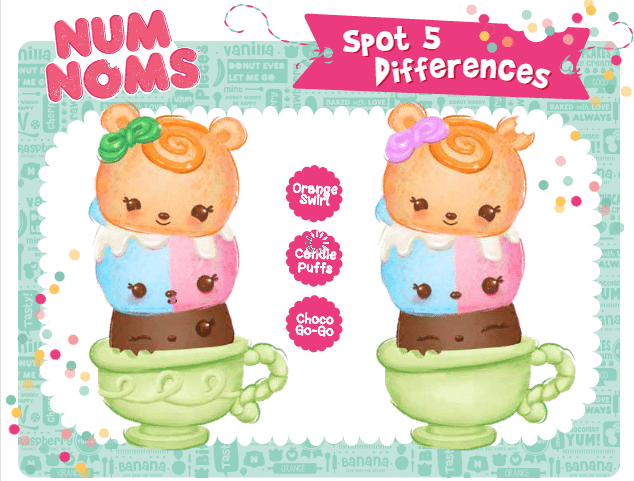 With such tastily scented combinations such as Raspberry Cream, Peachy Choco Gloss and Banana Go-Go what child can resist the allure of Num Noms! 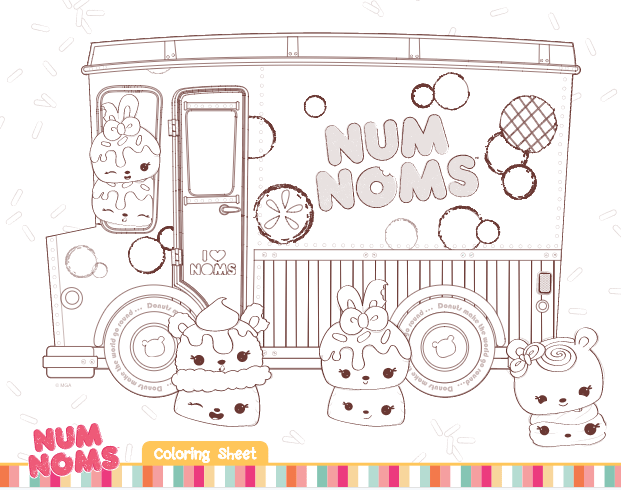 To introduce their range, KiddyCharts are very pleased to be working with Num Noms to offer for free these amazing colouring pages and activity sheets. We have four of these fantastic colouring and activity sheets to share with you – just click and print. How about this for some colouring in? Can you spot the differences in this picture? 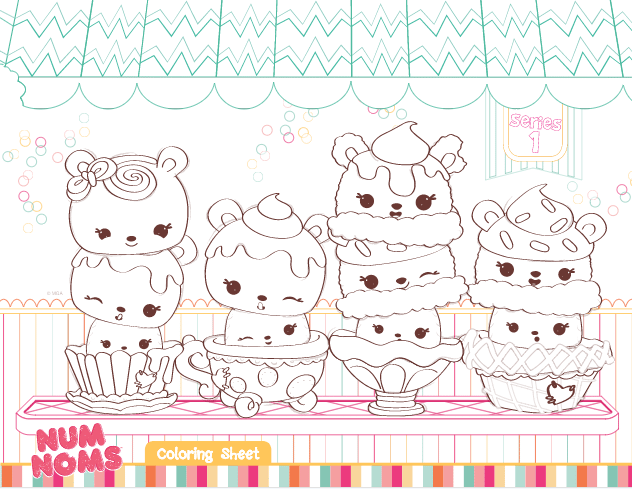 These activity sheets are not only a great way to get the kiddies au fait with Num Noms, but also provide fun activities for them. So whether you save this activity for the weekend, or a rainy day – have fun! 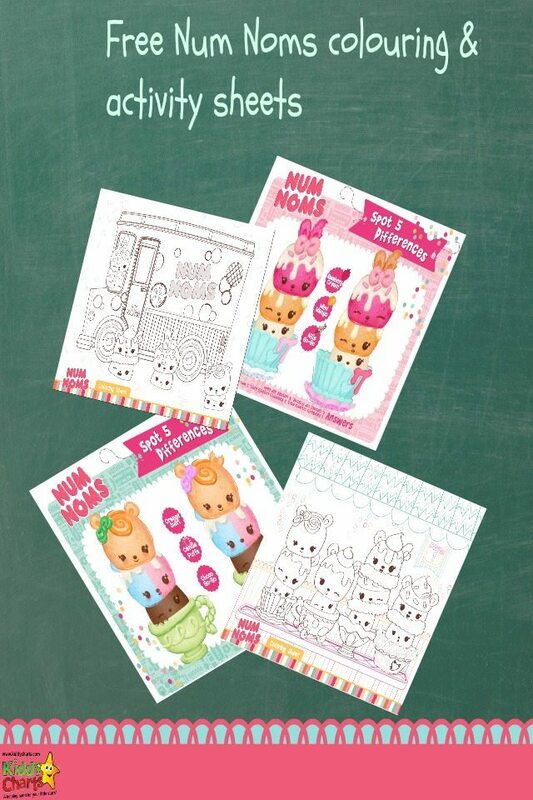 And don’t forget to check out the great range of Num Noms at your good local toy store. KiddyCharts is always proud to be offer free, fun and fantastic printables to our readers. If you like these printables please do check out other free colouring sheets, rewards charts and much more on KiddyCharts. And finally these great Sleeping Beauty printables from Storytime. We hope that you have enjoyed this post! For more exciting news and articles from KiddyCharts, please sign up for our newsletter. Do not forget to check out the KiddyCharts Printables Pinterest board where even more ideas are waiting for you.